Fact: there’s no better way to while away holidays and lazy days than testing your brain with a killer puzzle. It’s relaxing – but challenging too! Puzzling keeps your mind sharp and tests your powers of logic. So your brain stays in shape even when you’re off school. 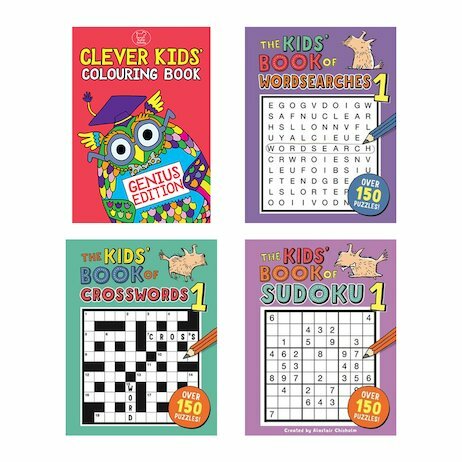 Now this pack brings you three pocket-sized puzzle books, plus the unique Clever Kids’ Colouring Book, which combines puzzles with colouring-in. While other kids get bored, now you can get smart – and have loads of fun too.